In January 2018, all companies will have to comply with the new revenue standards (Update No. 2014-09; ASC 606). The new guidance had major implications for most companies, and may affect how revenue is recognized, measured, and disclosure. It may well have implications for business operations, software, processes and controls. In some cases, the effort needed to implement that standard may be very little, but in many more it could be quite complex. The time for implementation is fast approaching. Effective utilization of that time is critical to an effective implementation. Evaluating major revenue streams and business units, along with the related contracts to identify the impact of the guidance on the company’s financial reporting and revenue recognition policies. Understanding the transition options and how each impact the company. 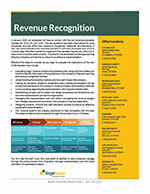 Making key decisions related to recognition policy setting and adoption and applying those decisions to the company’s revenue streams and transition methods. Communicating regarding the implementation with impacted stakeholders. Establishing a project plan to assess risk, design procedures and timelines to conduct the implementation across the organization. Managing the implementation and work effort, calculating the revenue recognition changes required and recording in the company’s financial statements. Designing systems, controls and staff education policies to ensure an effective, sustainable implementation. Our revenue experts are uniquely positioned to help companies with this task. 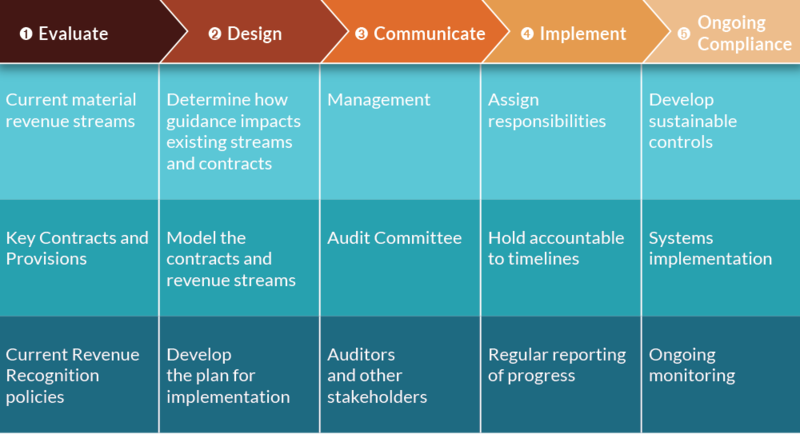 The steps we take to help companies through this process occur in 5 phases. Our firm has the staff, know-how and depth of abilities to help companies manage through the entire process from Evaluation through Implementation and the implementation of sustainable systems. 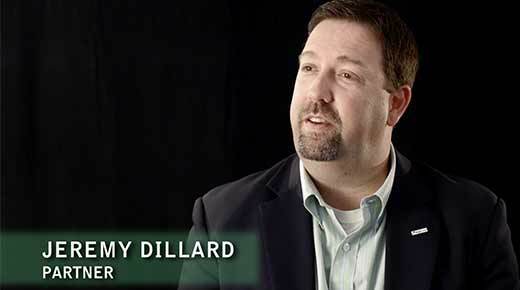 Jeremy Dillard on success and failures.